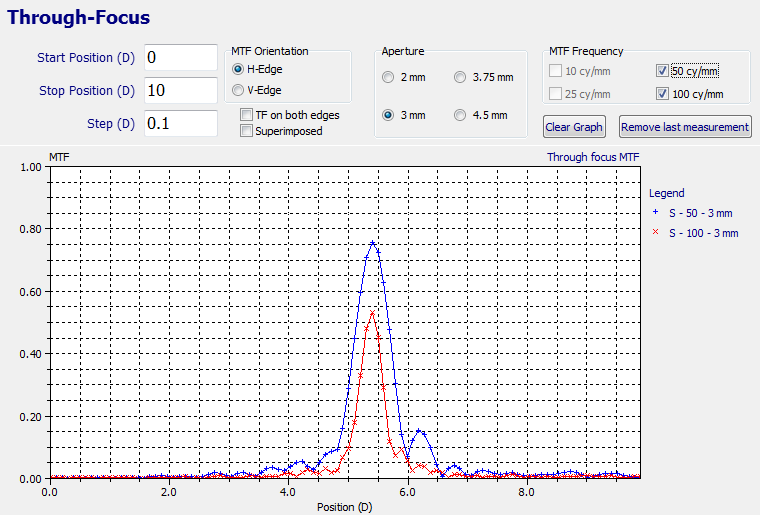 Purpose: Evaluate the feasability to create a refractive -3.6D RIS lens within 23s while keeping a good MTF. 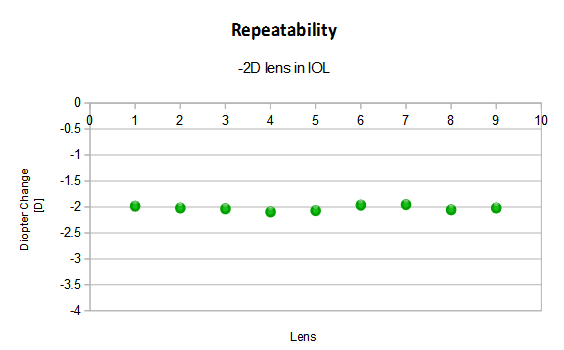 Method: Shaping a suitable lens design of a -3.6D RIS lens into a standard hydrophobic IOL. 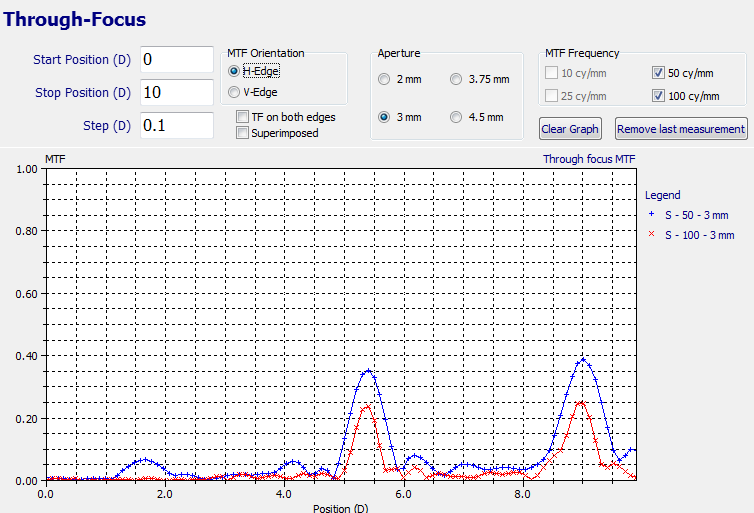 The measurements before and after are performed using the PMTF from Lambda X. 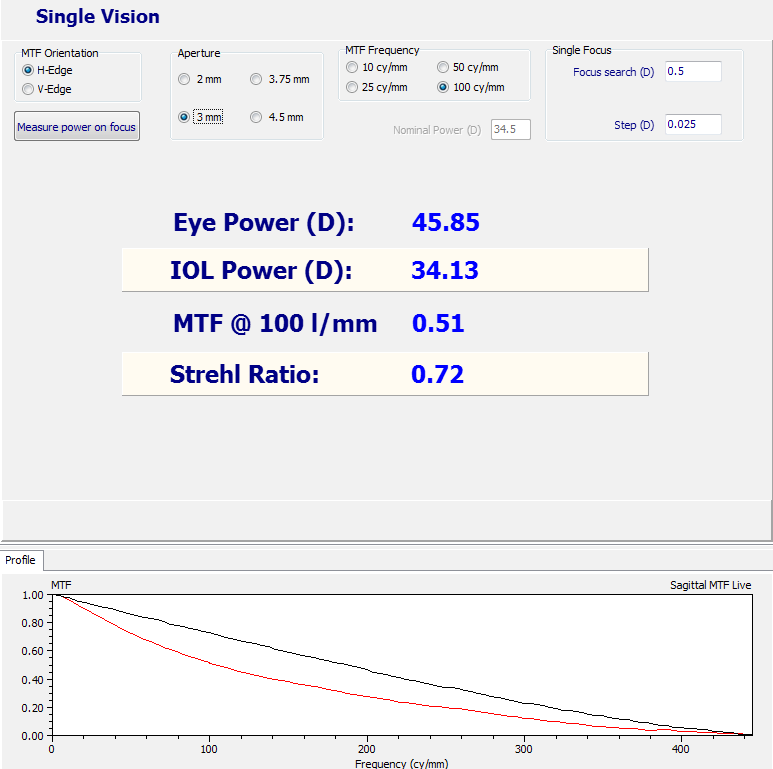 Results: The original IOL measured 34.13D with an MTF of 0.51, after RIS the IOL measured 30.59D with an MTF of 0.41. Conclusion: The RIS technology can be used to change an existing IOL diopter of up to 3.6D within 23s while keeping a good MTF. 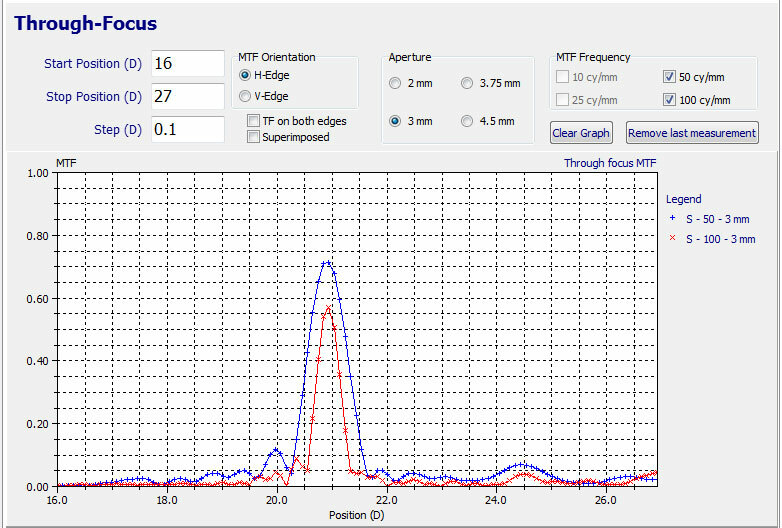 Method: A suitable lens design was created to match the diffractive power and energy split of the diffractive multifocal IOL. 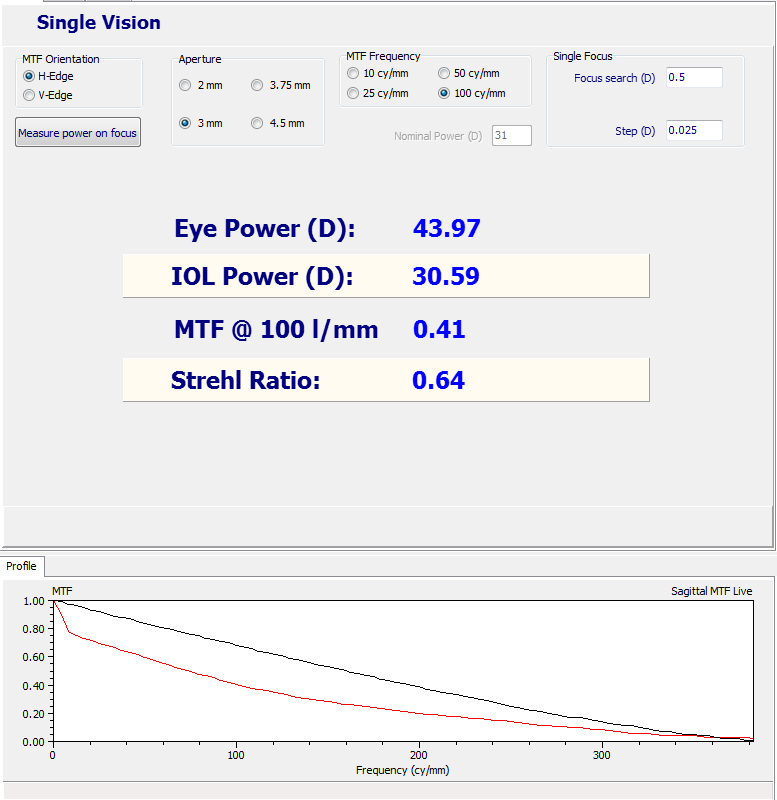 Results: The original IOL measured 20.85D with an add of 3.58D and a MTF of 0.37 and 0.26, after RIS shaping the IOL measured as a monofocal IOL at 21.04D with an MTF of 0.57. Conclusion: The RIS technology can be used to change a diffractive multifocal into a monofocal IOL. Method: A suitable lens design was created a multifocality with an add of 3.6D and a 50/50 split. 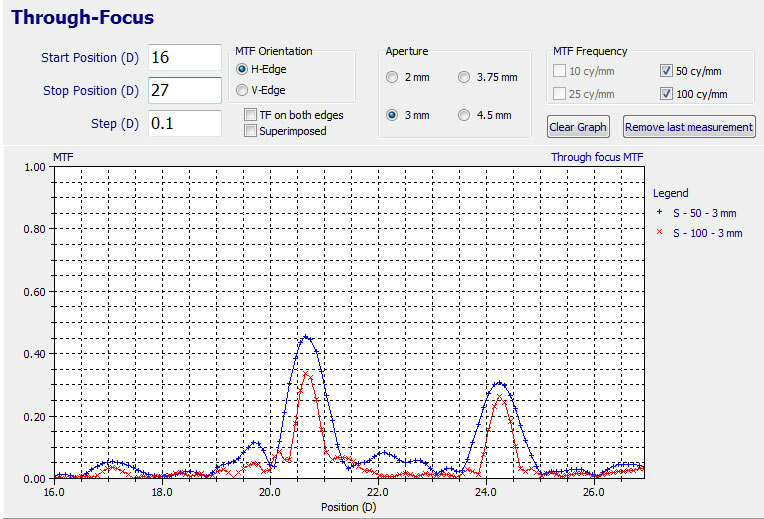 Results: The IOL before RIS treatement meausred 5.27D with an MTF of 0.53 for the 100lp/mm measurement. After RIS treatment the IOL measured two foci at 5.25D and 8.83D with 51/49 split. Conclusion: The RIS technology can be used to add multifocality to monofocal IOL. The next example shows the repeatability of the process. All lenses have been shaped in sequence.